Carle, Eric. Very Good. 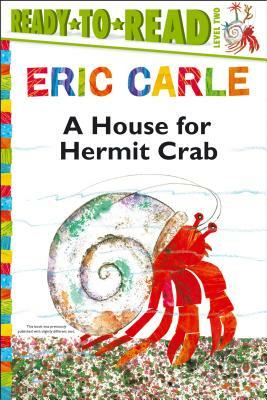 A House for Hermit Crab (World of Eric Carle) by Carle, Eric, 2014-06-01. Trade paperback (US). Glued binding. 32 p. Contains: Illustrations, color. World of Eric Carle. Intended for a juvenile audience. Carle, Eric. Very Good. House for Hermit Crab (World of Eric Carle) by Carle, Eric. Glued binding. Paper over boards. 32 p. Contains: Illustrations. World of Eric Carle. Intended for a juvenile audience.